Jean-Antoine Nollet first discovered the action of reverse osmosis (RO) in 1748, and for the next 200 years this was only done in a laboratory. After working for many years as a chemical engineer, Donald Bray invented the design for today’s RO water filter and the purification system in 1968. Homes and businesses all over the world use this filtering process to remove pollutants, odor, and improve the appearance of their water before consumption. The filtering components provide the cleanest water, and here at, Agies Resources we use the finest quality filtering to ensure your water is safely purified. The sediment filters in the reverse osmosis system are rated with a micron number, which relates to the size of the particles the filter traps. 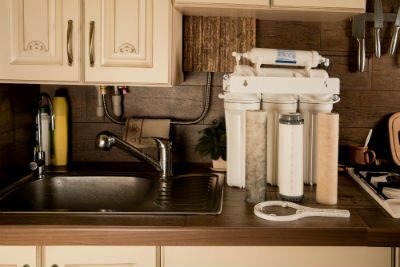 Our 5 micron sediment filter is the first line of defense in the purification process with reverse osmosis. The sediment filter traps and removes solid particles like sediment, rust, dirt, suspended particulates, and calcium carbonate. These filters are made from a variety of materials, such as polypropylene, cellulose, glass fiber, wound string or cord, polyester, ceramic, and cotton. Once the water passes through the sediment filter, it enters our 10 micron pre-carbon filter. This filter is an ultraviolet system that transmits ultraviolet rays through the water and removes smaller dirt, rust, and sediment particles. Our pre carbon filters remove 98% of the chlorine and organic chemicals, improves the taste, and reduces odors found in water. Cellulose acetate and an aromatic polyamide are the two materials that make up most of the reverse osmosis membranes. The active surface layer is dense microns supported by a thicker, permeable layer. These are thin sheets of fibers that create a matrix or an ice-like structure, and when the pressure of the water hits the membrane, it flows between the fibers. This step in the process drives the water away from the impurities, removing 70-99% of the dissolved molecules. The last filtering stage is the post carbon filter, which is a piece of activated carbon that utilizes chemical absorption. 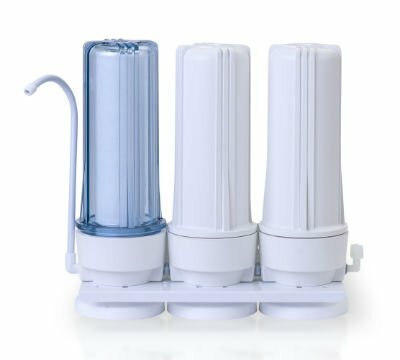 This filter removes the last remaining traces of chlorine, bacteria, and other organics such as Giardia. Post carbon filters condition the water to improve taste, and remove any odor. Also known as CTO filters, because they remove chlorine, taste, and odor, carbon filters for water purification have been used as far back as the ancient Egyptians. Agies Resources provides the best in the industry for RO water filter and systems. We strive to give you better drinking, cooking and other uses of the water in your home or business. Install a reverse osmosis system today and sleep better at night, knowing your water is safe.